Happy New Year! This was shot last year on Okinawa in the Yomitan artists village at the turn of the year. 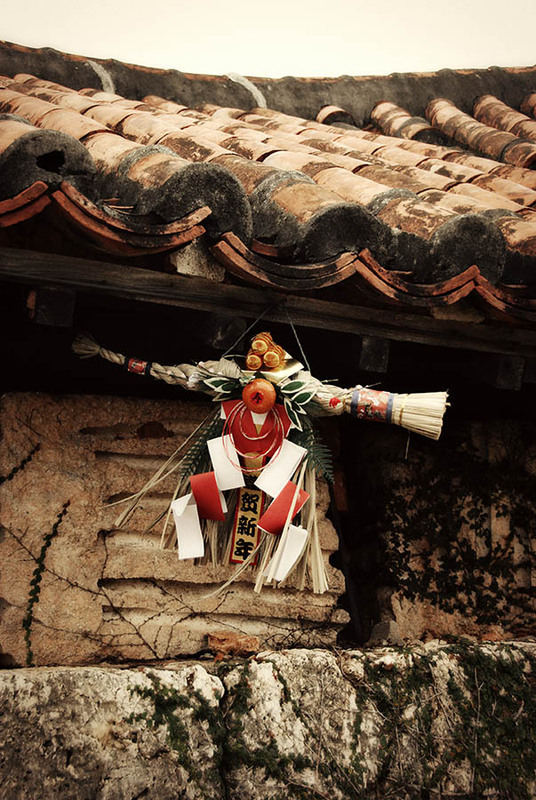 The ornament, called "shimenawa," is traditionally hung over doors on Okinawa at the New Year to ward off evil spirits. Here it was hung at the huge hill climbing kiln where pottery created in the village is fired.